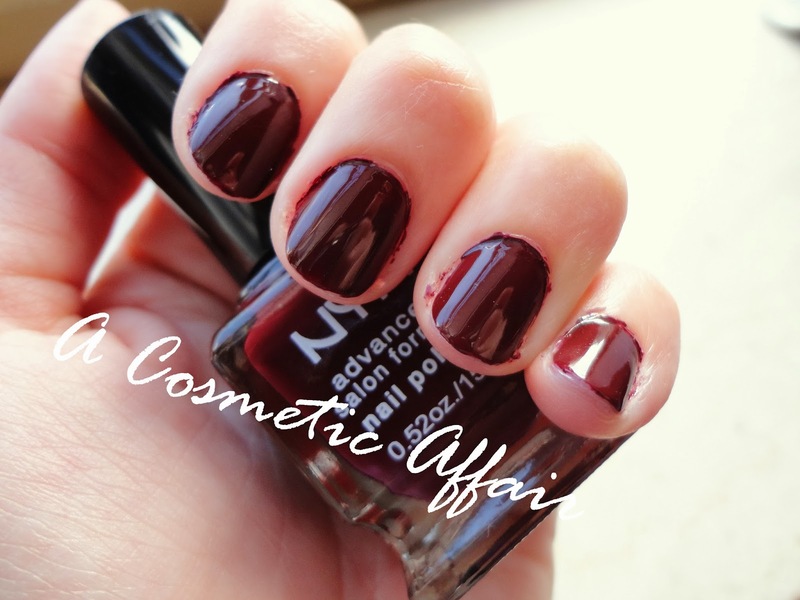 This week on my nails I am wearing the NYX Advanced Salon Formula Nail Polish in 195 Red Wine. I have been really loving the NYX nail polishes and I was on the hunt for a nice dark burgundy colour for a while. Excuse the mess around the nails, was in a kind of hurry. I find their dark nail colours last really well on my nails and even after a week the only chipping I get is at the tips of my nails. You get 15ml with this formula which is really good for their price of €6.95. As always I apply a base coat and a top coat on my nails. Especially the base coat is very important when using darker shades as it prevents the polish from staining your nails. What is your favourite dark nail polish? Do you like the NYX nail polishes?